Island Hills Estate is a great place to call home. House Hunters filmed TV episode in Dexter, Michigan. Island Hills Estates was represented as one of the top 3 homes selected for tour. 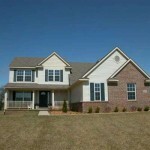 Island Hills Estates is an upscale subdivision of 72 brick and vinyl homes were built by Guenther Homes. The subdivision is located west of Dexter-Pinckney Road on the south side of Island Lake Road. The Island Hills Estates community offers professionally designed neighborhood entrance, paved roads, underground utilities, serviced by well and septic and conservation area. 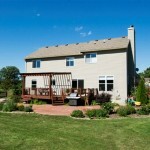 You may see the House Hunters video with HGTV featuring one of the Island Hills homes. 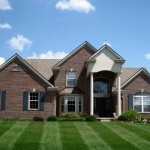 Home sizes range from 1800 square feet to 2950 square feet. There is an annual association fee, currently $295.00. This neighborhood boasts low Lima Township taxes. Properties are listed from $289,900 to $369,900. Here are the Island Hills Estates master deed and amendments. • Spacious Kitchens, which include dishwasher, garbage disposal and over the range microwave / hood combination. 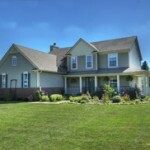 Dexter Island Hills Estates development is approximately a 10 minute drive to Ann Arbor. to the highly acclaimed Dexter schools (video below). If you live in Island Hills Estate, tell us what you think of living here; we encourage your comments to give relocating families an idea of what our Dexter neighborhoods are like.